While Woodinville waited for the much anticipated but delayed opening of Itallianissimo’s, The Station Pizzeria newcomer Le Petit Terroir quietly opened their doors. Not that I am partial to Le Petit Terroir because of it’s name. The owners, Dave and Karin Shoup, know what they are doing check out their bio’s. Plus, a can opener will never be found in their restaurant. Everything is made fresh that day with the freshest ingredients around even the charcuterie is hand made on site. Executive Chef, Kevin Sabora spent some time with Bill the Butcher so he knows how to please the carnivores amongst us. Fabulous wine friendly food with an added touch of Europe. Le Petit Terroir will deliver via their fancy delivery bike. Woodinville’ites and tourist alike can now enjoy another great food option and have food delivered while sipping wine at Hollywood /Tourist district wineries. 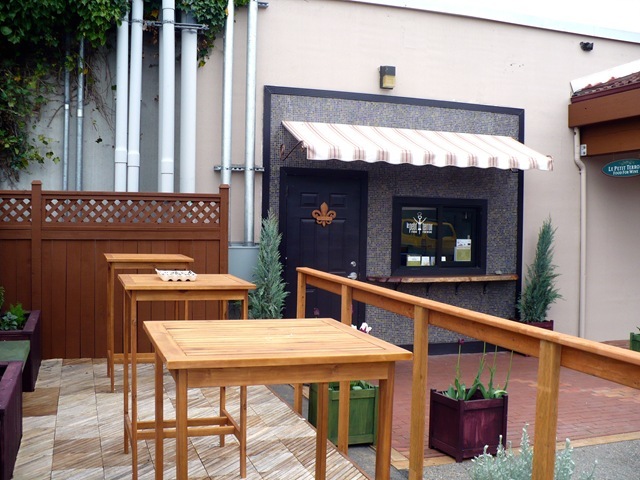 Le Petit Terroir is located at 14455 Woodinville Redmond Road right behind William Church’s tasting room. What a great pairing!